A lot of our stars might be trying to make it big on foreign shores, but that works the other way around as well. New York born Monica Dogra is the chick to watch out for on screen this year with a leading role in Kiran Rao's directorial debut, Dhobi Ghat. The Shaair + Func singer has been big in Mumbai's club circuit for a while now, and her first performance has already been making waves on the festival circuit. A California boy, 29-year-old Omi appeared briefly in cult comedy Arrested Development and a couple of episodes of The Office before making it big in India with a role in Rajkumar Hirani's historically successful 3 Idiots. 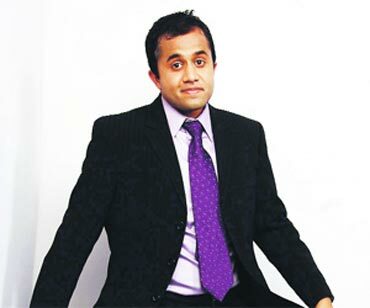 He'll next be seen in Madhur Bhandarkar's Dil Toh Bachcha Hai Ji. As Nasir Hussain's grandson and Aamir Khan's nephew, Imran might have Bollywood in his blood but he was born in Madison, Wisconsin and holds an American passport. Khan's pretty much a Mumbai boy now, though, and after hits like Jaane Tu Ya Jaane Na and I Hate Luv Storys, seems like he's here to stay. Born in the UK, the Scottish-Indian Aruna Shields got a distinction from the Guildhall School of Music And Drama. She was seen in two 2010 films, Prince, opposite Vivek Oberoi, and Mr Singh Mrs Mehta. A trained belly dancer and choreographer, Shields is currently based in Mumbai. Born to a Bengali father and Polish mother in Toronto, Lisa Ray began modelling at the age of 16. She became a sensation in India because of a Bombay Dyeing ad, and since then has gone from music videos to critically acclaimed world cinema. She's a stunner, and we wish she'd do more stuff in India soon. Currently among Bollywood's top actresses, the UK-born Katrina Kaif might not have made a splash with her film debut Boom but since then stayed in the headlines and has delivered hit after hit. 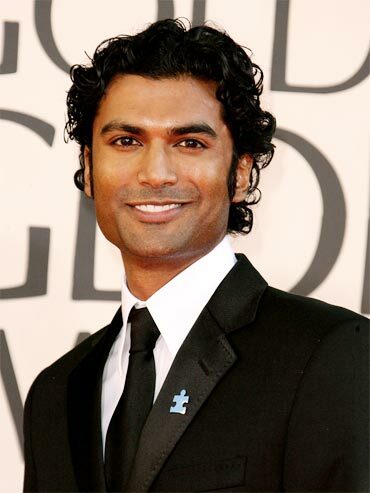 Best known for his role as Bengaluru-based scientist Mohinder Suresh in hit US TV series Heroes, Sendhil was born in Chicago and raised in San Antonio. Born in the UK, Jiah was only 18 when she made her sensational Bollywood debut opposite none other than the legendary Amitabh Bachchan in Ram Gopal Varma's Nishabd. The film didn't work, but Khan's a regular pretty face in Bollywood these days, most prominently seen in Aamir Khan blockbuster Ghajini. Born in Kabul to a Punjabi father and an Afghan mother, Celina's filmography isn't as interesting as her background. The actress hasn't really managed to find a foothold here, noticed more in item songs. She is, however, quite applauded for her active support for gay rights. She made her Bollywood debut with Karan Johar's Kabhi Alvida Na Kehna, and was also seen in last year's Teen Patti.